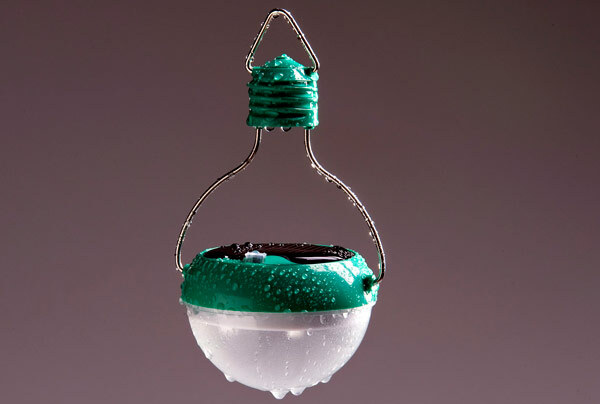 Say hello to the second-generation solar bulbs from Nokero, a firm based in Denver. The first generation was known as N100 and the second generation has been named as N200. 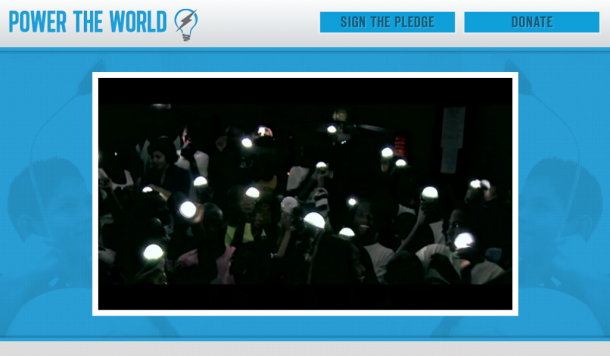 The idea is to bring light to areas where there is limited or no electricity at all. 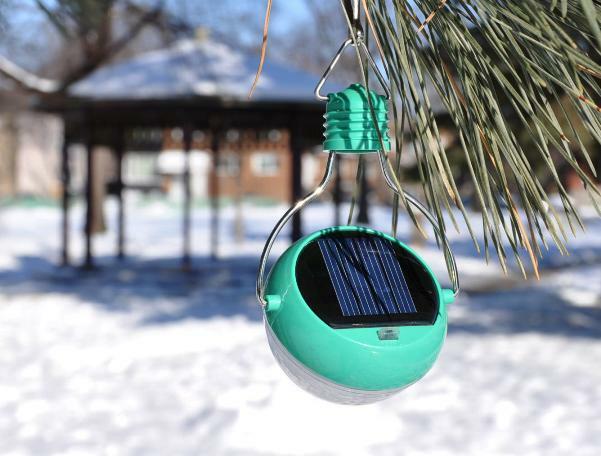 Nokero N200 solar bulb costs $15 and is capable of recharging even in poor weather and can last for six hours on a complete charge. 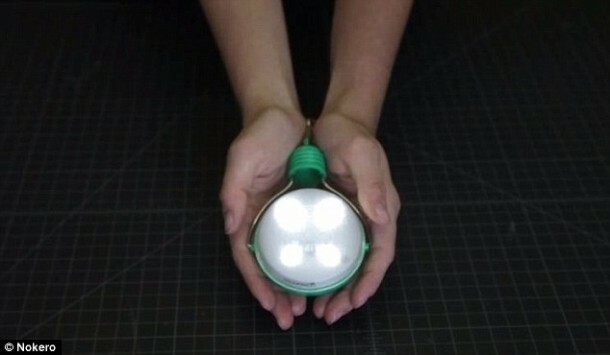 Although designed for areas with low or no electricity, the bulb can be used for camping and also during power outage. 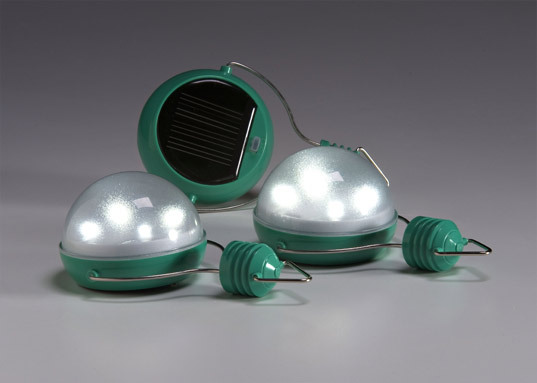 The solar bulb has won the 2013 USPTO Patents for Humanity Awards. These awards are awarded to innovations that make use of patented technology to find a solution for humanitarian needs. N200 is not designed to replace the electric version of bulbs when it comes to brightness. 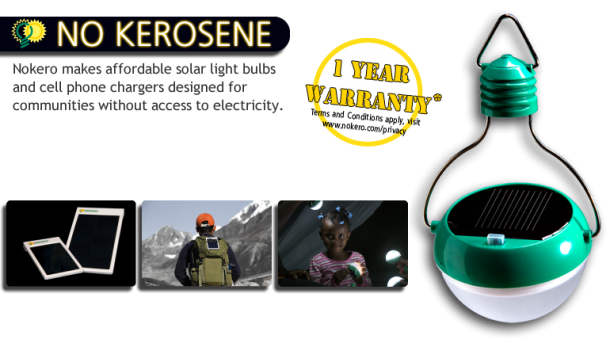 Compared to regular 60-watt bulb’s light of 850 lumens, the N200 only provides 13.5 lumens – closer to kerosene lamps. N200 can charge in 4 hours in bright sunlight while it takes a day to charge in low light. The bulb is waterproof and somewhat bigger when compared with the conventional bulb and has been attached to a chrome-plated steel loop. Power is drawn from the sun and then distributed among 4 LEDs. The power is stored in 1,000mAh Ni-MH battery that will last two years, the firm claims, and can be replaced for $1. Nokero N200 comes with a power saving mode that enables the bulb to shine only when light is below 200 lux. All in all, this sure looks like a great invention. In other news, Deutsche Bank carried out a study which concludes that solar prices will continue falling since solar power isn’t a fuel but rather a technology. That is why solar power shall continue to become more efficient and less expensive.